Michael is a Registered Architect in BC and Alberta, and a LEED Accredited Professional. He holds a Master of Architecture from the University of British Columbia — where he graduated with the Abraham Rogatnick Book Prize — and a Bachelor of Environmental Design from the University of Manitoba. He has over a decade of architectural experience working in many different sectors and at many different scales – from small-scale interior installations and residential projects, to mid-sized commercial office and retail buildings, to institutional projects, masterplans and award-winning educational buildings. Before founding MIZA, Michael played lead roles on several significant projects including the Eagle Mountain Middle School (winner of a Canadian Architect Award of Excellence) and the Ormidale Block, a unique mixed-use heritage restoration development in Vancouver. 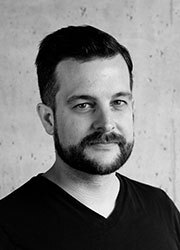 David is a Registered Architect in BC and holds a Master of Architecture from the University of British Columbia, where received numerous academic awards including a Royal Architectural Institute of Canada Student Medal and an Architectural Institute of British Columbia Achievement Award. Before founding MIZA, David worked with several prominent architecture firms on projects such as the Audain Art Museum in Whistler, the Centennial Beach Park Pavilion, and the Ucluelet Community Centre. David also holds a Bachelor of Science in Engineering Physics from the University of Alberta, providing a technical basis for high-quality project outcomes and a desire to integrate high-performance features into all projects. In addition to being a LEED Accredited Professional, he is a Certified Passive House Designer and has designed one of the first houses in Alberta in accordance with the Passive House standard. Courtney is a Registered Architect in BC and a seasoned collaborator who brings fifteen years of multidisciplinary design and creative management experience to her work at MIZA. She holds a Master of Architecture degree from the University of British Columbia where she received the AIA Henry Adams Medal. Courtney has apprenticed at international architecture offices in Rotterdam and Berlin, collaborated on high-profile public art installations across Canada and the US and served as Art Director for a non-profit artist workspace in NYC. Prior to joining MIZA, Courtney contributed to numerous cultural, civic, and institutional projects throughout the Lower Mainland. Her observational nature and passion for design research help her fulfill key roles throughout all phases of a project from concept development to building information modelling and the nitty-gritty of construction with cool control and confidence. Dami holds a Master of Architecture and Bachelor of Architectural Science from Ryerson University, where she received multiple awards including the AIA Henry Adams Award and the Toronto Society of Architects’ Award. Her architectural interests led her to collaborate with a team of building scientists and architects and in 2016, Dami’s team was awarded first place in the small multi-family housing category of the US Department of Energy’s “Race to Zero” sustainable housing competition. Her Master’s thesis delved into the investigation of libraries as a cultural endeavor in the age of speed. Her project proposed a new labyrinthine library, woven into the existing fabric of Venice, to house the 50,000-volume book collection of famed Italian novelist and scholar, Umberto Eco. Her time in Venice helped her to develop a keen eye for details and a fascination with architectural palimpsest. Dami brings professional experience in the mixed-use sector from past work in Vancouver. Michaela has spent the last 5 years working on a diverse collection of project types and scales both in Europe and North America. Michaela’s Architecture and Urban Design studies at the Faculty of Civil Engineering in Prague provided her with a strong foundation of technical and engineering expertise. Her comprehensive educational background gives her the ability to find a balance between creative design and structural and energy efficiency both in construction stage and in the subsequent use of the building. As a student in Prague and Spain, as well as in her work as a designer in Antwerp, Belgium, Michaela explored the possibilities of traditional European materials in the context of social housing. As her interest shifted into sustainability, renewable energy and materials, she relocated to BC to focused on timber construction as a renewable resource. Michaela worked as a volunteer in Whitehorse, YT for Habitat for Humanity to build a duplex housing project inspired by passive houses. Following this experience, she wanted to deepen her understanding of the principles and their implementation and became a Certified Passive House Designer with the Passive House Institute in Germany. Christine is currently finishing her last year at UBC as a Master of Architecture candidate. She is focusing her educational interests on social housing and the thresholds between public and private space that allow for a greater quality of life. Christine has a bachelor’s degree in Interior Design and has experience working at multiple firms in Toronto and Vancouver where she worked on institutional and residential projects, jumping between interiors and architectural scopes. During her exchange in the Netherlands, Christine studied landscape architecture and placemaking while traveling around Europe and doing research for her thesis project. She is driven by the opportunity to positively change the way people live and is also interested in being a part of Vancouver’s Design community.